Manikarnika Saturday (2nd Day) Collection Update for Morning, Very Good Start! Manikarnika has started very well on day 2 (Saturday) at box office in morning shows. Film is getting boost from Republic Day National Holiday. We expect film to grow further in day time. 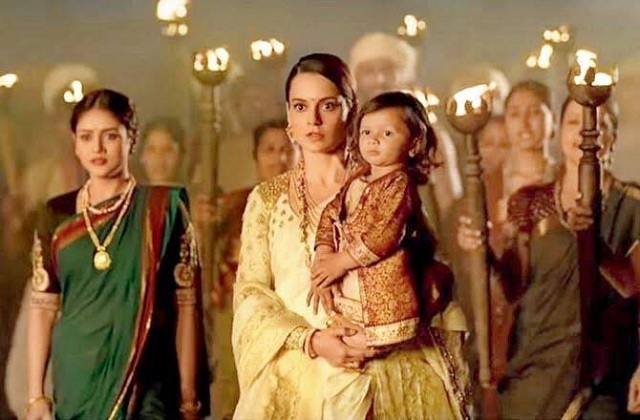 Manikarnika opened to a very good 50% occupancy in morning shows. Samples are from multiplexes only. For the same samples Friday opening was around 20%. Manikarnika started on sedate note on opening Friday. Film is carrying big budget and hence needs strong showing on Saturday and Sunday to put up a decent first weekend total. Ideally, film needs a jump of 50% or more from Friday. Morning shows started well and hope this positive trend follows all through the day. As far as word of mouth is concerned, initial reports are positive and for the ground level report we have to wait till Monday. Today need a lot more than 50% Jump, if the 1st day is 8-10 today the movie need at least 17 crore because its a big holiday. Raees Kaabil Padvamaat and even Jai Ho did big numbers on 26th. To become a hit need 17 today and hold well tomorrow. And a weekend of at least 40-45.Anything less than 40 will be not good for a 125 crore budget movie.